Mister Rogers arrives with a picture of a house under a night sky which he is able to make look like a daytime sky as well. He reminds viewers that the stars and moon are still there, even when we cannot see them. In the kitchen, Mister Rogers puts on his glasses and uses a piece of construction paper to cut out a star which he attaches to a string. Using a globe, Mister Rogers shows the United States and then points out Russia reflecting on his recent visit to Moscow. Mister Rogers marvels at St. Basil's and other parts of Moscow before stopping with Daniel Tiger to visit with a group of Russian children. Visiting the set of a childrens' television program, Good Night Little Ones, Mister Rogers meets the program's host, Tatiana Vedeneeva. With the help of a Russian puppetteer, Mister Rogers' introduces Daniel Tiger to Khrusha, a character from Good Night Little Ones. After his appearance on the program, Mister Rogers presents everyone with Mister Rogers' Neighborhood t-shirts. 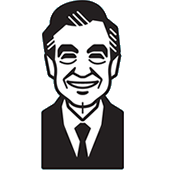 After his reflection on his visit to Moscow, Mister Rogers mentions that just because he can not see the people he met in Russia, they are still there. He then sings You Are Special. In the Neighborhood of Make-Believe, Lady Aberlin and Daniel are talking about the night sky when a pretend star drops from a string near the clock. At the Museum-Go-Round, Lady Aberlin finds that Neighbor Aber and Lady Elaine are behind the "falling star." Lady Elaine provides telescopes which they use to view the night sky. Back at the house, Mister Rogers concludes after cleaning up the kitchen. The Trolley enters and exits the Neighborhood of Make-Believe on the alternate set of tracks. © 1988 Family Communications, Inc.